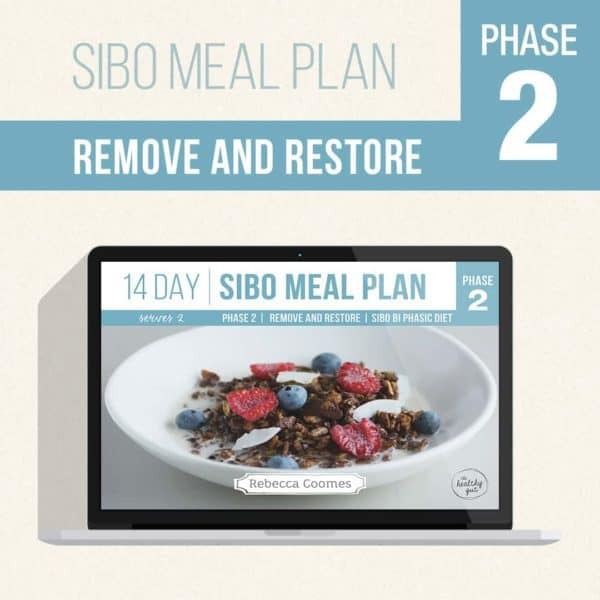 The SIBO Meal Plan: Phase 2 Remove and Restore is perfect for anyone who has commenced their SIBO diet protocol and is following the SIBO Bi Phasic Diet by Dr. Nirala Jacobi. The plan includes 14 days of breakfasts, lunches, and dinners that are suitable to be eaten when following the Phase 2 of the Remove and Restore SIBO diet. A delicious array of Sweets and Snacks are also provided, giving you some additional recipes to choose from. 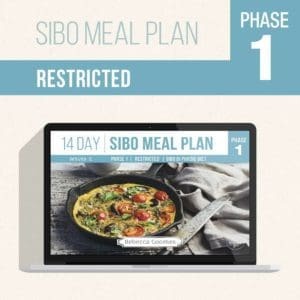 All recipes are 100% free from gluten, corn and soy, and are low grain, carb, sugar and dairy. 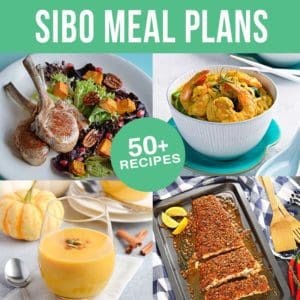 Low FODMAP options are included for many recipes. Each week shop from the easy to use shopping lists, ensuring you buy the right ingredients for your weekly meals. 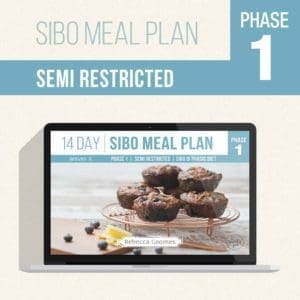 With Rebecca Coomes’ handy hints and tips includes, the SIBO Meal Plan will support you to eat well with SIBO. Available as a PDF for easy use on multiple devices. Delivered immediately upon purchase via email.